76,305. That’s the number of children, women and men who we served last year by providing housing, food, education, counseling, case management and many more of our life-giving services. Today, we’re releasing our annual report for Fiscal Year 2015, and we invite you to read through the reflections and stories. 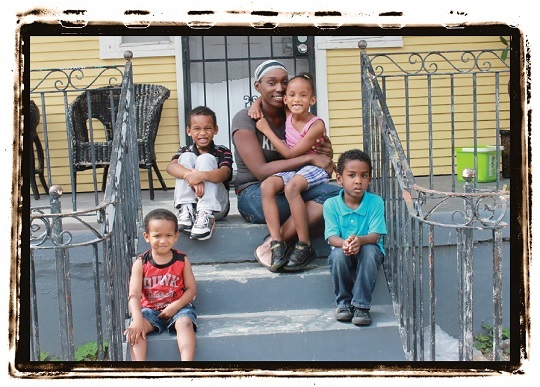 In our report, you’ll learn how Catholic Charities provides housing to a family, strengthens the faith of another and gives hope to children for a brighter future. You’ll also hear why our supporters, like you, stand with us in serving those in need. Thank you for being our partner in ministry and sowing the seeds of hope. Download the complete 2015 Annual report here. On November 21 and 22, the second collection in all Masses in the Archdiocese of New Orleans will support the Catholic Campaign for Human Development (CCHD) which works to end poverty in our community. All funds raised these days will support four local projects: the Northshore Housing Initiative, Families and Friends of Louisiana’s Incarcerated Children, The MICAH Project and the New Orleans Master Crafts Guild. See the Master Crafts Guild’s apprenticeship program in action. This year will also mark the first time the CCHD directly addresses poverty on the Northshore through the creation of affordable workforce housing. For more information on the CCHD, please call our Office of Justice and Peace at 504-874-7829 or visit the CCHD website. When Cliff Cardone welcomes a new client, he’s not only providing for their legal needs, he’s giving them an opportunity to improve their community. Through the Cardone Cares program, the Cardone Law firm donates a portion of their legal fees to select local charities, including Catholic Charities. The nation’s first and only 24-hour online giving day for Catholics by Catholics is less than a month away! On December 1st, the Catholic Foundation will host a day of philanthropy and fun called #iGiveCatholic. Show your support for those in need on December 1st by going online to donate at igivecatholic.org and spreading the word on social media using the hashtag #iGiveCatholic. All proceeds raised on behalf of Catholic Charities will go towards the Archbishop Hannan Community Appeal (AHCA). Our goal is to reach the campaign’s $1.2 million mark by that day! Watch a video message from Archbishop Aymond on why we should give Catholic on Giving Tuesday.